Its so difficult to get into the rhythm of writing again after a week of absence... sometimes i wonder if its all bec of FB.. easier and quickest way to keep in touch n update what ur doing... i miss writing... i miss taking food pics and i miss blogwalking... period! 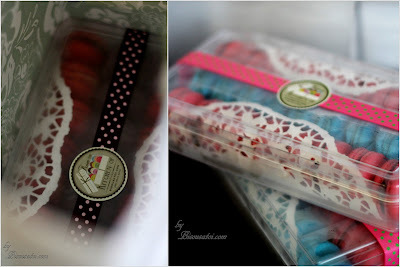 Sooo.. We got back fm KL last thursday.. a day after we were supposed to go home.. i was a little panicked cos i knew i had orders to fulfil.. cake orders that were booked a month ago for a wedding... another order that came fm a Singaporean lady who lives in France for her fav cousin's engagement party which she couldnt attend and an order fm my cousin for her relative's wedding.. Alhamdullilah i managed to bake it without any glitch.. err well except when i had to call a plumber to fix my choked sink! blahhhhh S$150 out of the window! Anywho last sat after I was done with my orders.. i decided to take mom and dad out for dinner... sis wati decided to join in and just like that.. we had a big group.. we later took all of them to T3 to chill and had coffee at our local coffeeshop.. was nice! Yesterday was spent at home relaxing.. the only exciting thing i did was to get myself a new 28-75mm F2.8 lens... will take pics using my new lens soon! 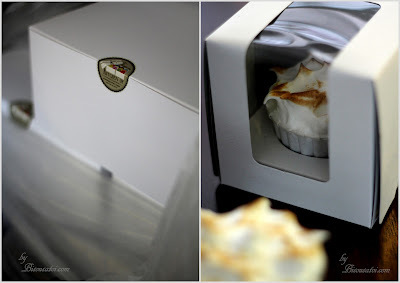 So ok... i am gonna go.. gv me a day to get into the rhythm again.. hopefully by then i am able to write more.. for now enjoy this "9 out of 10 star recipe" that was shared by Pastry Affair.. i call this cake WOW S'more Cupcakes cos this cake was just ohhhhh so goooodddd! The base of these cuppies have graham crackers.. middle part of these cuppies was a super moist chocolate/espresso cake.. top part of these cuppies have chocolate glaze and as if thats not enough.. the topping for these cuppies was marshmallow meringue. yums! - Preheat oven to 350 degrees F (180 degrees C). Line a cupcake pan with baking cups. - In a large bowl, stir together graham cracker crumbs, sugar, and melted butter until evenly coated. Place a tablespoon sized scoop of the mixture in the bottom of each baking cup. Using a glass or bottle the size of the base of the cupcake, press down the graham cracker crumbs until they form a solid crust. - Bake for 5 minutes to allow the base to harden. Cool for 5-10 minutes before filling with cupcake batter. - Preheat oven to 350 degrees F (175 degrees C). Line cupcake tin with baking cups. - In a large bowl, whisk together the flour, sugar, cocoa powder, baking soda, baking powder, and salt. - Add the eggs, coffee, buttermilk, vegetable oil, and vanilla extract and beat for 2-3 minutes on medium speed to mix. Batter will be liquidy. - Fill baking cups 2/3 of the way full and bake for 15-18 minutes, or until a toothpick inserted into the cake comes out clean with a few crumbs. Cool cupcakes to room temperature before frosting. Finally, for those who have been waiting and hoping for a smaller Macaron baking sheet......tadaaaaa! It has arrived! Mastrad has answered your call! See HERE to order! Cheers! tergodanya gue tengok cc ni...siap ada meringue lagi...menawan hatiku..
Wowww...this look so good Kak Rima. Give me one bite please! and love the pictures too! Bake it cos its not as complicated as it looks... sedap banget! and i hv been thinking abt chiffon cake cuppies with vla. huhu.. mau satu dong! Hope that your mojo is back in updating your blog. Always love your pictures and read your writing. how hv u been??!! dah lama tak nampak kat sini.. eh buat lah.. do it with the graham base.. sedap! U did? alhamdullilah.. so glad to hear that u liked it! I got it fm this shop kat United sq.. now kedai dah tukar kat sim lim tu yg i went there to get my camera.. the new lens i got it fm AMK..
bef i lupa again.. congrats! i got the magazine the other day.. happy for u.. gambar satu family i like! Please have a look at the link I gave ou. The mac sheets are on Pre-Order. As stated in that link, I will order end of May (which I did today), and will send out the macs in mid June. I also dont bring along my mac sheets and only send them by post as it wouldnt be fair to the others who order by post. Please follow the link and read the description in there - it explains everything. As stated.. my stock arrived mid of june.. it did a few days ago and am in the process of sending all out... will email u once its out .. tks! I kept it in a tupperware and placed it in the fridge..